Spiced apple cupcakes baked with fall spices cinnamon and cardamom. 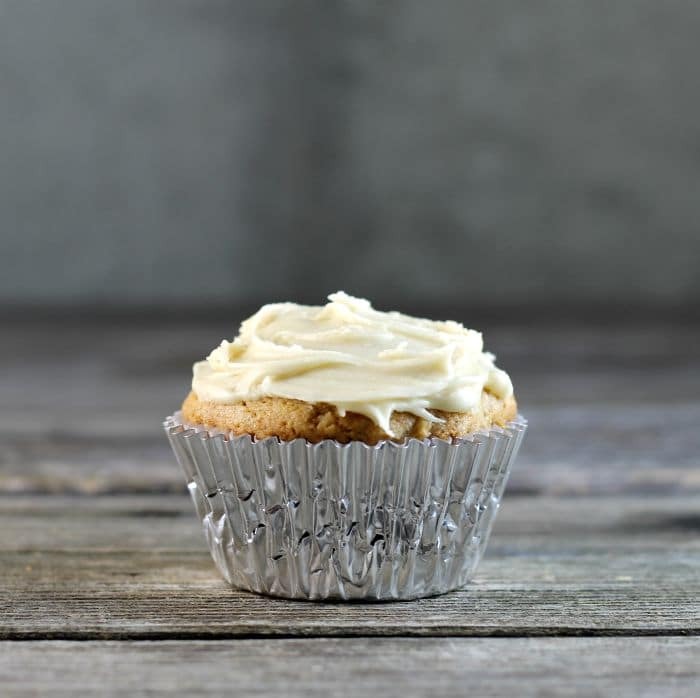 I love to smell the combination that the apples, cinnamon, and cardamom as these cupcakes bake. I believe it is officially fall. We actually had our first frost this morning. For Minnesota, this is pretty late in the year for us to have our first frost, but I can’t say that I mind. There will be a lot of cold weather coming our way in the next months. It may be too early to say this, but I can’t wait for spring to come. I love fall, the chilly crisp air, and the fall colors. Now if we could only avoid all the snow and the below zero weather that comes after fall I would be a happy lady. But I believe that would be asking too much living for where I live. I know that since I have lived here all of my life I should be alright with the winter weather, but the older I get the less I enjoy it. But as it is fall I love baking with apples and pumpkin. The flavors and the smells of baked goods with apples and pumpkins are always my favorites at this time of the year. And spice cake has always been a favorite in our house. Mike actually prefers a spice cake over a chocolate cake any day of the week. And as for me, chocolate cake will always win my heart, but I do love a great spice cake. 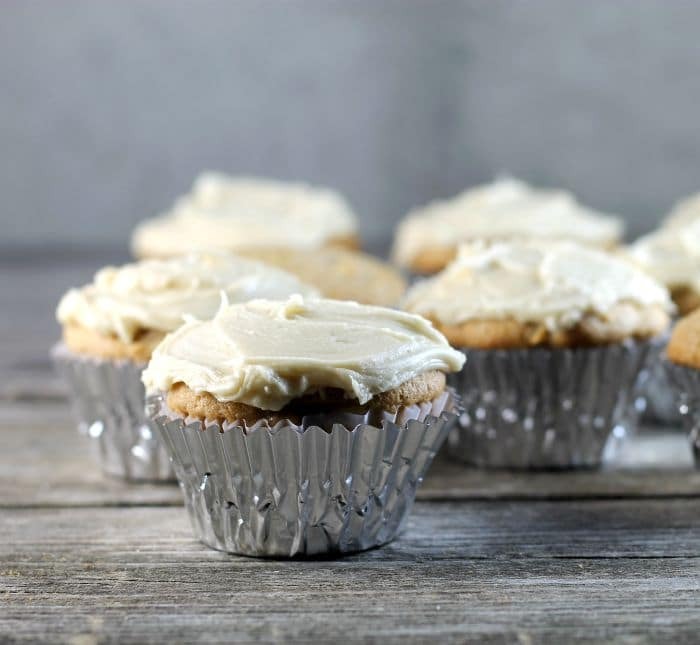 As for these spiced apple cupcakes, I can say they won my heart; they are perfect for a fall dessert. Preheat the oven to 350 degrees F. Line the muffin tins with paper liners. Cream together the butter and the sugar with an electric mixer. Add eggs and mix in. Sift together the flour, baking powder, baking soda, salt, cinnamon, and cardamom. Alternate adding the flour mixture and the sour cream to the batter. Adding 1/3 of the flour and 1/2 of the sour cream at a time, ending with the flour. Spoon the cake batter into the liners filling to about 2/3 full. Place in the preheated oven and bake 18 to 20 minutes or until they spring back after touching them lightly. Place on a cooling rack and cool completely. 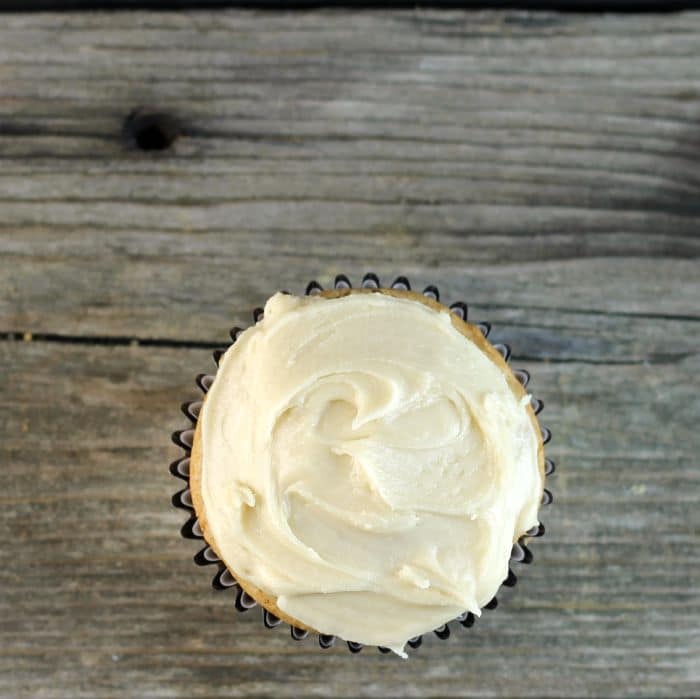 Frost with your favorite caramel frosting or cream cheese frosting. Love, love, LOVE that last photo. I love spice cake! Great recipe! Ooooh! These sound delicious! I haven’t made apple cupcakes…going to have to change that!! I’m with your husband. 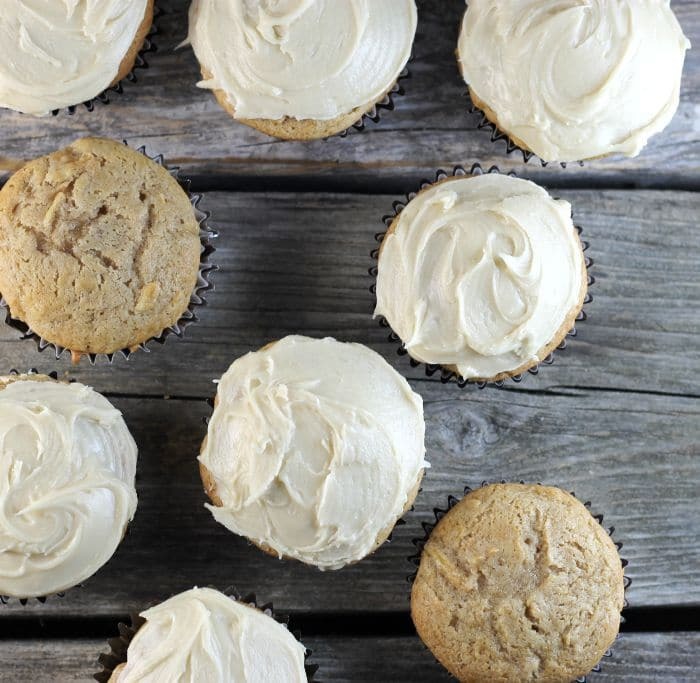 I love spice cake so I know I would enjoy your spiced apple cupcakes. Cardamom is my FAVORITE! I’m so glad you included some in these cupcakes. They sound absolutely delicious! I love spice cake. These cupcakes look so good. I found you on Festive Foodies Recipes. Thank you for sharing. Pinned.